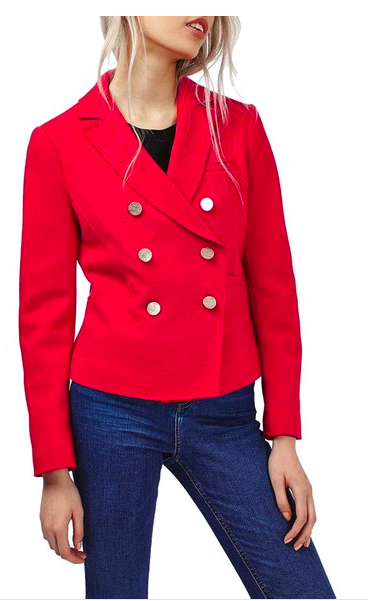 This fall, I'm feeling blazers. Not necessarily the prep school blazer look but maybe more vintage and masculine. 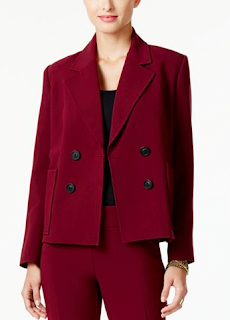 The double breasted blazer is chic and distinctive in the very best ways. No shoulder pads required. So cool. Like so, so cool. You can totally pull this off. I really like this speckle print. Not sure what the model is so upset about though. Sleek and sophisticated. 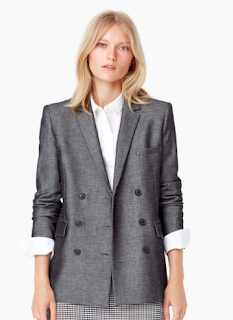 I love this blazer with a pencil skirt, jeans, or ankle pants. A longer silhouette for a runway look. Try something a little old school and make it our own this fall. These double breasted blazers are a great excuse to mix it up!